1+ in the Family is according Leaves and Feathers one of the best brands for the smallest kids. 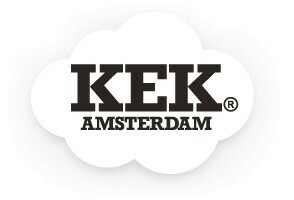 A Spanish brand, completely designed and manufactured in Barcelona. 1+ in the family is a all-round brand for babies from 1 to 36 months old. Characteristic of 1+ in the Family clothes are the minimalist design, quality and soft fabrics. Buy 1+ in the Family online at Leaves and Feathers! 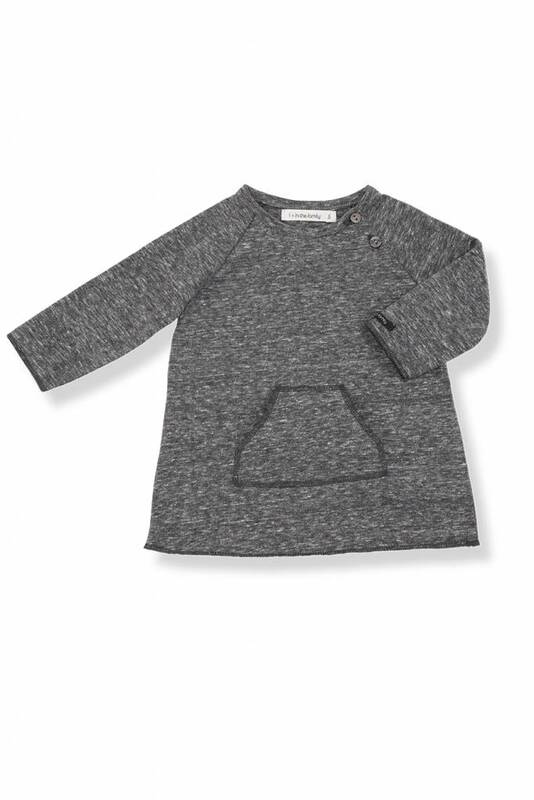 1+ in the Family Meggy Dress Anthracite, cute dress for little girls. The dress has a pocket and snaps on the front. 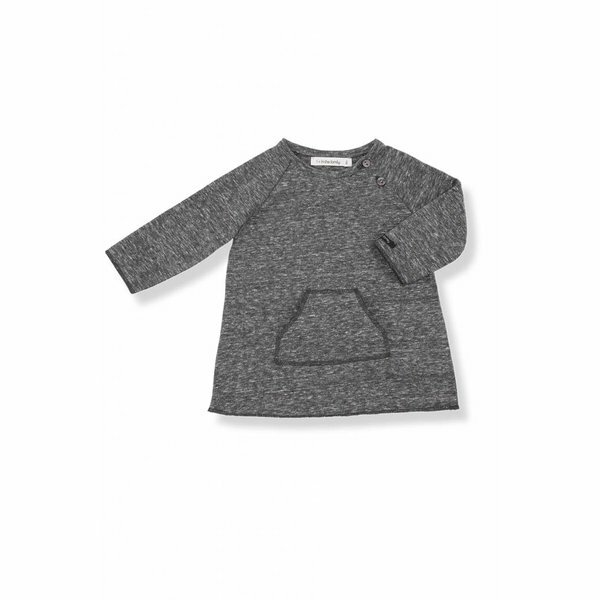 1+ in the Family Meggy Dress Anthracite is made of 80% cotton and 20% polyester.